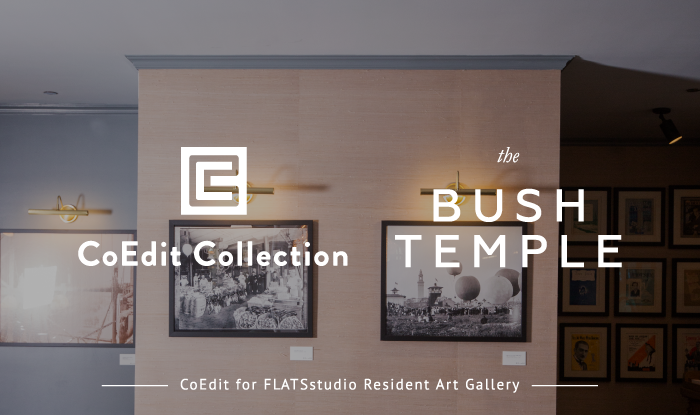 CoEdit for FLATSstudio, kick-off their partnership with a pop-up gallery at The Grand Opening of The Bush Temple on Thursday, November 9, 2017 at The Bush Temple (108 W Chicago Ave, Chicago, IL 60610). The gallery features artwork by residents of FLATS properties. Not only is this an opportunity for local resident artists to exhibit at a pop-up gellery, but two of the selected artists will have the chance to be represented on the CoEdit for FLATSstudio website. A council of members from FLATSstudio and CoEdit will select one winning artist and the second will be selected by a vote from attendees of the event.